The Red Sox didn’t pull off a blockbuster, like they have in years past, at the trading deadline this year. Boston’s biggest needs were a shortstop, a starting pitcher, a left-handed reliever, and a right-handed hitting outfielder. The emergence of Josh Reddick took the Red Sox out of the outfielder market. On the other side, with left-handed batters hitting just .195 off of Alfredo Aceves and improved pitching from Matt Albers and Dan Wheeler, they took Boston out of the reliever market. That left shortstop and starting pitching as the two needs for Boston. 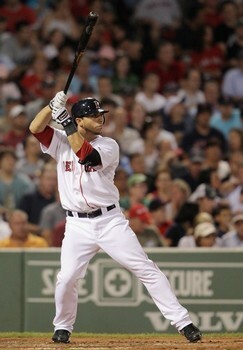 Boston acquired utility-infielder, Mike Aviles for Kansas City for Yamaico Navarro and Kendal Volz. Aviles can play third, second, as well as shortstop and is also a good base runner as he was ten for twelve in stolen base attempts, while with the Royals. Fielding wise, Aviles’ best position is probably second base, followed by shortstop and third base. However, career wise, Aviles has spent the majority of his time in the field at shortstop. Yet, this season, he has spent the most time in the field at third base. Clearly, Alviles is an experienced utility man despite only being in the big leagues since 2008. Manager, Terry Francona has said that he wants to try and play Aviles in the outfield. Aviles hasn’t played the outfield since college, but is willing to try. However, the Red Sox gave up to much in my opinion. According to Alex Speier of WEEI, “A talent evaluator recently suggested that he (Yamaico Navarro) was ready to be an everyday third baseman for a second-division team in need of offense right now.” Navarro is never going to be a Kevin Youkilis or an Scott Rolen, he could end up being similar to Brewers third baseman, Casey McGehee. Kendal Volz was a ninth-round pick by Boston back in 2009. This season, he was moved to the bullpen and is now pitching in high A ball for the Wilmington Blue Rocks. Volz is twenty-four years old and attended Baylor University. Boston also made two moves just before the deadline. First, Boston traded Minor Leaguers Tim Federowicz, Stephen Fife, and Juan Rodriguez to the Dodgers for Trayvon Robinson. 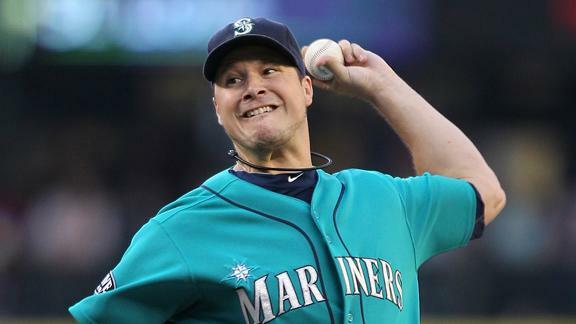 The Red Sox then traded Robinson along with Chih-Hsien Chiang to the Seattle Mariners for Erik Bedard and Josh Fields. The best part about this deal is that Boston didn’t have to give up a whole lot for Robinson, the cornerstone of the deal, who is now the Mariners number four prospect according to Jonathan Mayo of MLB.com. Robinson hit twenty-six home runs in a hundred games for the Albuquerque Isotopes (he Dodger’s AAA affiliate), but struck out a whopping 122 times. Robinson also stole eight bases, walked forty-five times, and hit .293 for the Isotopes. In his first game in the Seattle Mariners organization, he went one for three with a stolen base, a run scored, and a walk. Since Clay Buchholz is most likely out for the season (even though Terry Francona says there is a chance he could start before the season is over) with a stress fracture in his back, Bedard if healthy, should be able to fill Buchholz’s role with no problems. However, Bedard has an injury history of his own, but if the Red Sox were scared of by Rich Harden, than Bedard must be healthy. Bedard, is a lefty who was A.L. East experience when he pitched with the Baltimore Orioles from 2002-2007. Since it appears he is healthy, the only reason Bedard should struggle is his dislike of well, attention. According to Gerry Callahan of the Boston Herald, “Bedard doesn’t like the media. He doesn’t like crowds. He doesn’t like attention. He doesn’t like day games. Some people wonder if he even likes baseball.” You can read the rest of the article here and after reading that article, Bedard seems like a jerk in my mind. According to Gerry Callahan of the Boston Herald, "Bedard doesn’t like the media. He doesn’t like crowds. He doesn’t like attention. He doesn’t like day games. Some people wonder if he even likes baseball." Anyway though, this season, Bedard is four and seven and an ERA of 3.45. Yet, if you take out his horrible start on July 29 against the Tampa Bay Rays when he gave up five earned runs in 1.1 innings, Bedard’s ERA is 3.00. The bad news though, is that that was Bedard’s first start off the D.L. and his last in a Mariners uniform. The other player Boston acquired from Seattle is twenty-five year old reliever named Josh Fields (not to be confused with Josh Fields, a former White Sox and Royal who recently signed with the Yomiuri Giants). Fields was the twentieth overall pick by the Mariners in the 2008 MLB draft. Fields has split time between AA Jackson and AAA Tacoma. In thirty-nine innings, Fields is one and two with a 3.92 ERA and a WHIP of 1.54. In a few years, it’s very possible that Fields could be the best player Boston got in this trade. Yet, personally, I think Boston will regret both trades. Navarro should become a starting third baseman somewhere in the majors and Boston should have just held on the Robinson. As for Bedard, it’s a toss up on how he will pan out in Beantown. *Also thanks to everyone for making Soxoholics the twenty-eighth most visited fan blog during the moth of July. 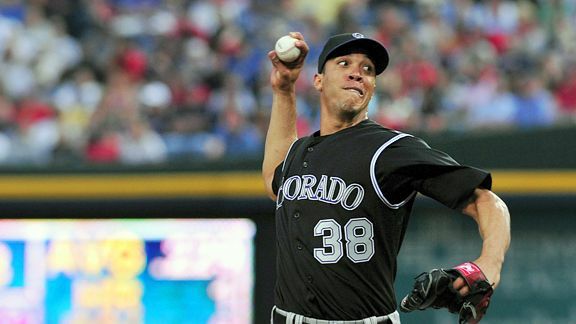 Could Ubaldo Jimenez Play For The Team That Cost Him A World Series Ring Back In 2007? Unlike Hiroki Kuroda (Another starting pitcher that the Red Sox have been rumored to be interested in), Jimenez’s contract could last anywhere from 2012 to 2014. You see, Jimenez has team options for the 2012 and 2013 seasons, with one million-dollar buyouts both seasons. 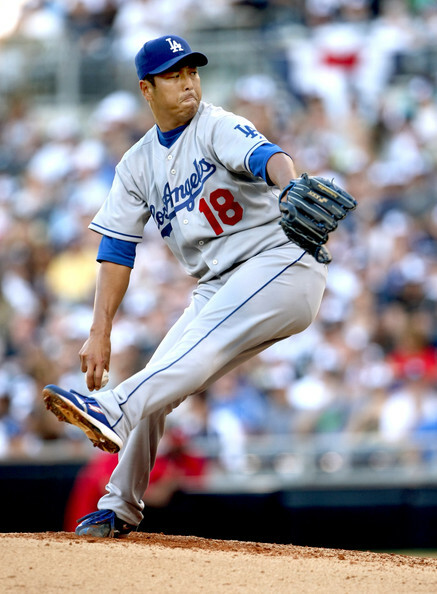 His salary for the 2013 season could be increased from $5.75 million-dollars depending on Cy Young results. In 2014, his salary would be eight million-dollars, but unlike the 2013 season, the “Cy Young bonus” could be voided if Jimenez is traded. It has been reported that there are four main players in the Ubaldo Jimenez sweepstakes. One of those teams, is the Cincinnati Reds. The Reds are supposedly the furthest along as they have already talked prospects. The Rockies are reportedly interested in starting pitchers Homer Bailey, Mike Leake, and Travis Wood, all have major league experience. Another player the Reds are looking at is twenty-four year old, Yonder Alonso. With Joey Votto locked up until 2013, the Reds decided to move Alonso to left-field. When the Reds traded Jonny Gomes to the Nationals the other day, they made it clear, at least to me, that Alonso is untouchable. Mild-infielder Billy Hamilton and catcher Devin Mesoraco are also supposedly untouchable. According to Jonathan Mayo of MLB.com, Mesoraco is the Reds number one prospect, followed by Alonso and Hamilton. Also, according to Mayo, Mesoraco is the second best catching prospect, Alonso is the third best prospect at first-base, and Hamilton is the second best prospect at second-base. But, with the Reds now 6.5 games behind the Brewers in an already crowed National League Central, this deal might be more focused on the future than the present. Another team that has interest in Jimenez is the Detroit Tigers. Yet, it doesn’t look like that they are willing to trade starters Max Scherzer or Rick Porcello. The Rockies have inquired about both players. It looks like Detroit is more likely to go after someone like Erik Bedard or Jeremy Guthrie. The third team looking at Jimenez, is none other than the New York Yankees. The Yankees have the first, fourth, and sixth rated catching prospects in Jesus Montero, Gary Sanchez, and Austin Romine. Therefore, it makes since to trade one of them. Jon Heyman of Sports Illustrated reports that the Yankees won’t trade Manny Banuelos (the fourth rated left-handed pitching prospect in MLB according to Mayo), Dellin Betances (the eighth rated right-handed pitching prospect in MLB, also according to Mayo), and rookie Ivan Nova, who was recently sent down to AAA, but had an eight and four record in sixteen games started up in the big leagues. Unless the Yankees part with a pitcher, Jimenez won’t be wearing pinstripes. The last major player for Ubaldo Jimenez are none other than the Boston Red Sox. Unfortunately for Boston, it doesn’t look like Clay Buchholz will be back soon. Yet, Boston is more likely to trade for a rental player, as their first four starting pitchers for next year are set (Beckett, Buchholz, Lackey, and Lester) and Felix Doubront, Andrew Miller, and Tim Wakefield (Unless he retires) will battle for the fifth spot until Dice-K returns. A Major League executive said that the Red Sox are most likely to trade for Kuroda followed by Guthrie and Bedard. Could Andre Ethier And Dustin Pedroia Team Up For The First Time Since Playing Together At Arizona State University? There are three pros (why the trade will/should happen) and three cons (why the trade won’t/shouldn’t happen). But we’ll start with the pros. 1.) The Dodger’s Financial State. By now everyone is at least somewhat aware of the Dodger’s current finical state. And Yesterday, a judge rejected owner, Frank McCourt’s financial plan. This means that now, McCourt will have to receive a loan from MLB. Like said in the previous story, with McCourt barely meeting his recent payrolls, the Dodger’s might try to dump as much salary as possible. Ethier is the third highest paid player on the Dodgers and is due about $3,166,667 for the rest of the season. 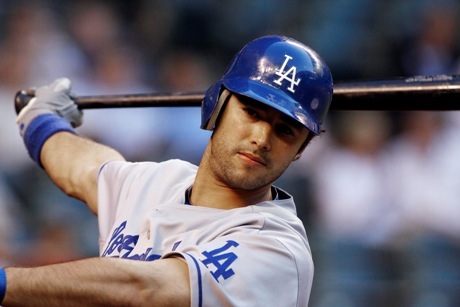 Ethier’s two-year, $15.25 million dollar contract is up after this year. However, he would stay under team control for one more season. The Dodgers are trying to lock up their two young stars in Ethier and Matt Kemp, whose contract at the end of this season, but will remain under team control for one more year. Yet, since the Dodgers don’t exactly have cash to spare, they may only be able to sign one player, if any. The Dodger’s need to realize that Ethier and Kemp will be long gone and need to trade them ASAP so they can get a few prospects. It doesn’t hurt when the guy who is campaigning for you is probably the most vocal guy on the team. Like mention in the photo caption above, Ethier and Pedroia (as well as Ian Kinsler), played college ball together at Arizona State University and are best friends. And it isn’t like Theo Epstein doesn’t listen to who his players want to play with. He’s thirty-five years old, hitting .129 in his last ten games, and lost his starting job to twenty-four year old kid. Sorry J.D., but your time is up. As for Josh Reddick, can you honestly expect him to keep hitting .356 in September? He’s just a kid and can’t be trusted when it matters most. Who do you want to have up with two outs and the bases loaded? A player hitting .219 who needs to call it quits, an untested kid, or arguably the clutchest player in baseball in Ethier. In 2009, had six walk off hits (four of them where home runs), the most in the majors since 1974. Subsequently, he won the MLB Clutch Performer of the Year award and won a Silver Slugger. Now, on to the cons. Next year, the Dodgers could have a new owner who has enough money to sign Ethier long term. While Ethier’s return value will decrease if he is traded in the offseason or at next year’s trading deadline, is it a risk worth taking? I mean is getting Felix Doubront (the Red Sox’s number two prospect) and not Anthony Ranaudo (Boston’s number one prospect) that bad? If I were general manager, Ned Colletti, I’d hold on to Ethier until January and if McCourt was still the owner, then trade Ethier. One thing to think about though, is that after the World Series is over, a lockout will occur. We saw Ryan Kalish blossom last year and if it wasn’t for shoulder and neck injuries, I wouldn’t have been surprised if he had been called up before Josh Reddick. Boston has two future stars in Kalish and Reddick and Boston may end up having a position battle in spring training next year. Or have them share time in the outfield. Their last option would be to trade one, because they only really need one of them. And when you have two future stars in right-field do you need a right-fielder who is already a star? No. Simply put the kid is on fire! He has four home runs, eighteen RBI, three triples, slugging .622, and has an average of .356, in just ninety at-bats. When you stretch those numbers out over the amount of at-bats Ethier has, Reddick’s numbers would be superior to Ethier’s and look like this . . .
Would I like Ethier on the Red Sox? Sure, but with Josh Reddick and Ryan Kalish waiting in the wings, this deal isn’t necessary. Could Ryan Ludwick Reunite With Former Teammate Adrian Gonzalez In Beantown? The Red Sox have been rumored to be interested in a right-handed hitting right fielder and while Ludwick hasn’t played right field this year, he has played right field in over sixty percent of his career games. 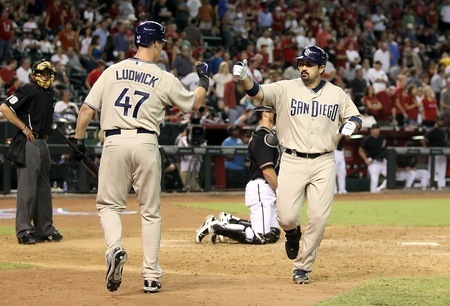 From the Padres perspective, it only makes since to trade Ludwick. The Padres haven’t been able to capture last year’s magic and are currently last in the N.L. West. Ludwick will be a free agent at the end of the 2011 season and is scheduled to make $6,775,000 this season. Ludwick is the second highest paid player on the Padres behind closer Heath Bell ($7,500,000) who will also most likely be traded before the deadline. As of right now, the Red Sox have five outfielders on their active roster: Carl Crawford, J.D. Drew, Jacoby Ellsbury, Darnell McDonald, and Josh Reddick. If Boston did acquire Ludwick, McDonald would probably be the odd man out. However, Reddick could be sent down in order to get more playing time. McDonald isn’t the same player that we saw last year. In 2010 he had an average of .270 with thirty-four RBI in 117 games. This year, in forty games, McDonald is batting just .160 with thirteen RBI. On the other side, Reddick batted .194 with just five RBI in sixty-two plate appearances last year. Yet, this year, Reddick is batting .347 with eighteen RBI in seventy-five plate appearances. Reddick is twenty-four, still developing, and has a bright future, while McDonald is thirty-two with dimmer future. Since neither Reddick or McDonald would start unless an injury, Reddick could get sent down to AAA in order to get more playing time, as previously noted. Could Josh Reddick Serve The Role As The Fourth Outfielder, Or Even The Starting Right Fielder, For The Rest Of The Season? Reddick is the one thing that makes this deal less likely. If Reddick continues at his hot pace, Boston doesn’t need to make a trade for an outfielder. However, unlike Ludwick, Reddick is a lefty and not a righty when it comes to hitting. If the Red Sox were to acquire Ludwick, you might think the Red Sox would platoon Drew and Ludwick. They could start Drew against righties since Drew is a lefty and Ludwick against lefties since Ludwick is a righty. However, against righties, Ludwick is batting .002 points higher than Drew, slugging .061 points higher than Drew, and has an OPS .032 points higher than Drew. Also and obviously, both players are past their prime. Drew (thirty-five years old) peaked back in 2004 as a member of the Atlanta Braves and Ludwick (thirty-three years old) peaked back in 2008 as a member of the St. Louis Cardinals. So far this season, Ludwick is batting .241, with fifty-seven RBI, eleven home runs, and seventy-nine strikeouts in 345 plate appearances. Drew, on the other hand, is batting .223, with twenty-two RBI, four home runs, and fifty-six strikeouts in 233 plate appearances. I think it is safe to say that Drew will not be resigning with the Red Sox when his five-year, $70 million dollar contract expires at the end of the season. It has been a decent run, J.D. and while you’ve given Red Sox Nation some good memories (a grand slam in game six of the 2007 ALCS), it is time to either call it quits or step aside and let someone else, patrol right field at Fenway Park. Wether that person is Reddick, Ludwick, or someone else, someone besides Drew needs to start in right. 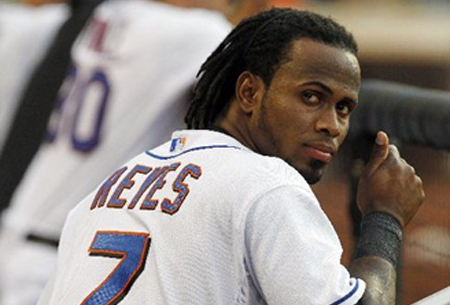 Could Jose Reyes Be Playing In A Red Sox Uniform In October? With the trading deadline less then two weeks away, leading up the the trading deadline, Soxoholics will be taking a look at some guys the Red Sox reportedly have their eye on. Even though according to various sources it is looking less and less likely that the Mets will be trading their star shortstop, an all-star with an expiring contract on a sub .500 team can never be counted out until August 1st. Jed Lowrie has been on the disabled list for a month now and he’s, “. . . growing stronger, may swing bat soon,” who knows how long he’ll actually be out. Every American league team at least five games back has a better shortstop than Marco Scutaro (no disrespect). Derek Jeter (NYY), Asdrubal Cabrera (CLE), Jhonny Peralta (DET), Alexi Ramirez (CWS), Elvis Andrus (TEX) and Erick Aybar (LAA) are all significantly better than Sctuaro. Now, even though a trade like this is highly unlikely, what would the Red Sox have to give up in order to get Reyes? Well, if the Mets demanded that they get a shortstop in return, the trade would be completely off as the Red Sox see twenty-one year old, Jose Iglesias as their shortstop of the future. After that the Mets would probably ask for either Stolmy Pimentel or Drake Britton. Lastly, the Red Sox might “toss in” Lars Anderson now that his path to Fenway Park has been blocked do the the Adrian Gonzalez trade. That’s the Red Sox’s first, fourth or sixth, and their fifth ranked prospects. Obviously, that is probably a little too much which is why people negotiate. One thing to take note on Reyes is that he was placed on the disabled list with a strained hamstring on July 7th. While it isn’t anything serious and he is due to come back within the next few days, it is just a thought that General Manager and Executive Vice President, Theo Epstein should have in the back of his head. If the Red Sox do decide to go all in and acquire Reyes, their lineup would feature a player with all-star experience (including four players this year, not including Josh Beckett and Jon Lester) at every position with the exception of Jarrod Saltalamacchia. Personally, combined with Josh Beckett, a hot John Lackey, and hopefully a healthy Clay Buchholz and Jon Lester, I can’t see how they could be stopped. However, with so many all-stars in one lineup, what would the lineup look like? This is what I have in mind . . .
It’s essentially the same lineup the only difference being Reyes. Crawford and Reyes as well as Drew and Saltalamacchia/ Varitek are interchangeable in my mind. And if Pedroia or Ellsbury begin to slump Reyes could bat first or second. This trade is most likely not going to happen, but if it did, it would take the Red Sox to the next level in my mind. A level that right now, no one is on.